An advanced Kilo-class submarine has appeared near the Syrian coast, according to a source within the Russian MoD. The Rostov-on-Don sub is equipped with modern Russian Kalibr cruise missiles. In mid-November, there were reports of the same submarine striking targets in the Islamic State stronghold of Raqqa. These were neither confirmed nor denied by the MoD. Russian warships in the Caspian Sea hit Islamic State (IS, formerly ISIS/ISIL) targets in Syria with modern Kalibr cruise missiles in early October. They also fired 18 cruise missiles in late November. 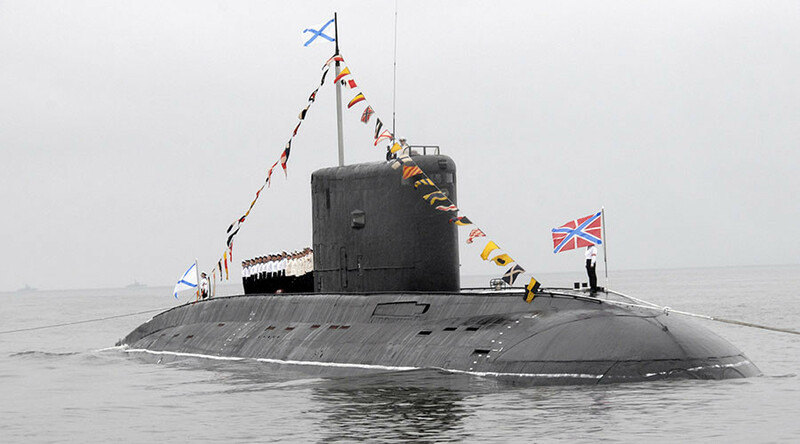 The sub is armed with 533mm torpedoes and reportedly Kalibr-PL (submarine modification) water-to-surface cruise missiles. The sub weighs 4,000 tons, reaches underwater speeds of 20 knots (37kmp/h) and can dive to a depth of 300 meters. It has a 52-man crew and can spend 45 days at sea before needing to go to port. NATO has called this type of submarine a “black hole” for its ability to remain undetected.